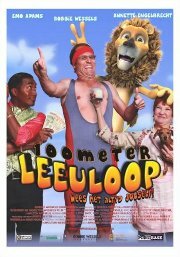 This Afrikaans comedy is a mockumentary about a fictitious race, where the competitors must sing, dance and run, all at the same time, for 100 metres. We follow the five finalists as they prepare for the race, and the strange goings-on involving sideline characters. In Afrikaans with English subtitles. Violence Very mild occasional, no bloody, comunal (sic... comical? - ed.). Comments An Afrikaans comedy absurd, but should not disturb viewers in general though the very young should have PG for language and very mild violence.